Disney Lucasfilm Press, 9781484780787, 416pp. 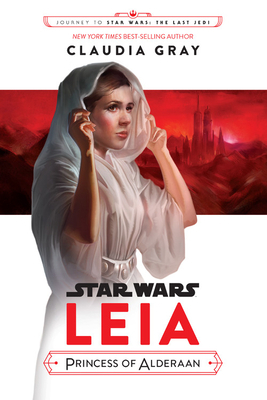 The story of how young Leia Organa comes to join the rebellion against the evil Empire, from New York Times best-selling author Claudia Gray. Claudia Gray is the author of Star Wars: Bloodline and Defy the Stars, as well as the Firebird series, the Evernight series and the Spellcaster series. She has worked as a lawyer, a journalist, a disc jockery, and a particularly ineffective waitress. Her lifelong interests include old houses, classic movies, vintage style, and history. She lives in New Orleans. Find her at claudiagray.com, facebook.com/authorclaudiagray, and @claudiagray.